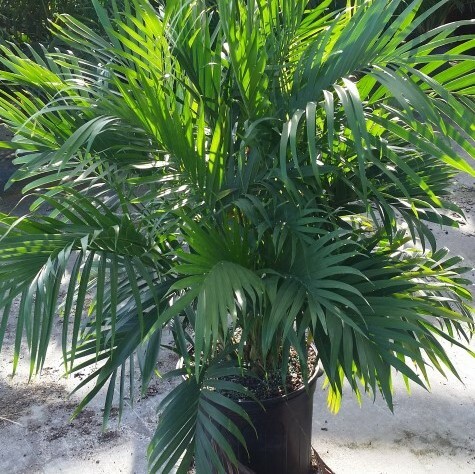 Cat palm trees grow in stemless clumps. 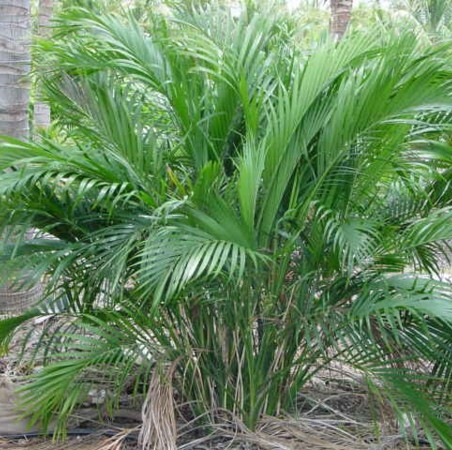 The pinnate leaves have leaflets that will reach up to 1 ft (30 cm) long and 1 in (2.5 cm) wide. 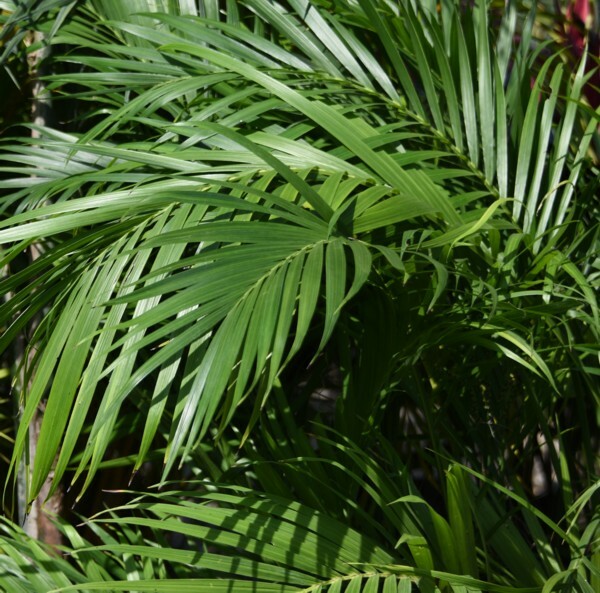 Keep palm fronds clean by gently wiping them with a damp cloth. This palm needs more moisture than some. 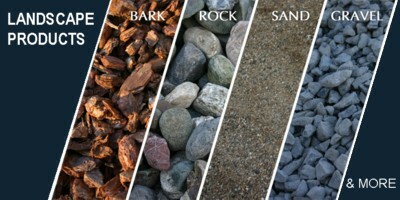 Water enough to keep the soil evenly moist, but never soggy. 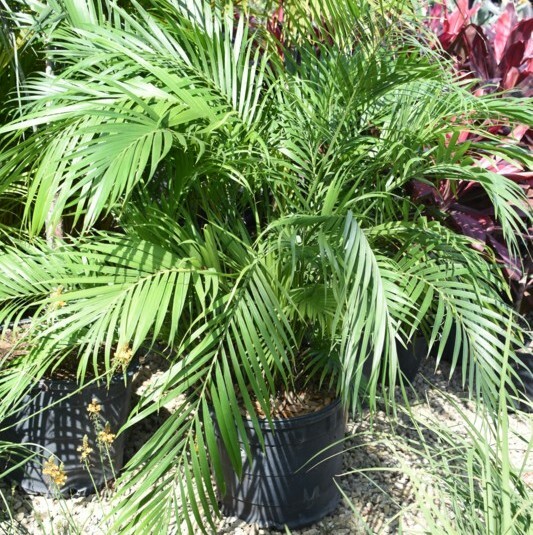 Palms are not desert plants as some people believe. 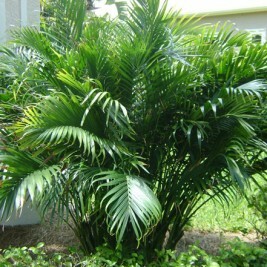 Regular watering will help to prevent fronds from turning brown. 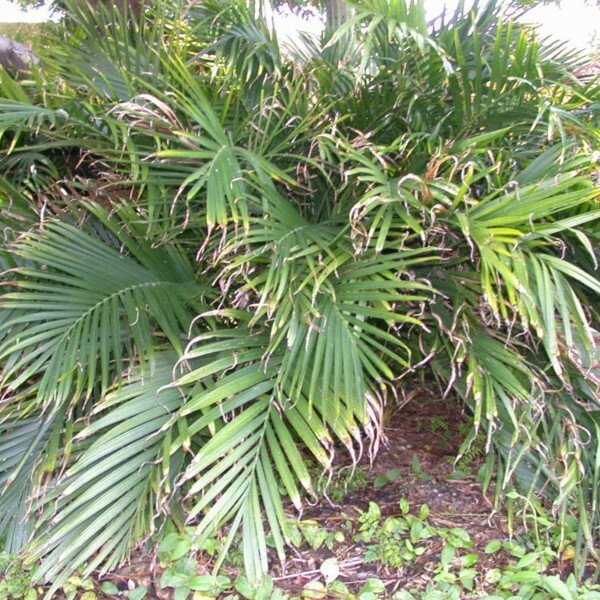 It grows as a dense clump of slender, green, cane-like leaf stems with pinnate, or feather-shaped, leaves that are about 1 ft long. Each leaf has about 30 to 50 narrow leaflets that are evenly spaced along the blade of the leaf.